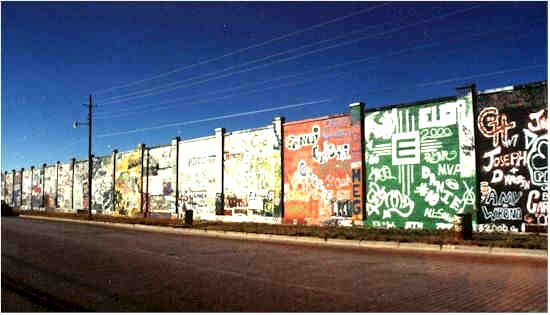 The "Wall" is a great landmark in this West Texas town. ; In a day when most teenagers don't know what making the drag is because they are tuned into MTV or playing video games, the kids in Lamesa know what it's all about. The "Wall" just a block off the Dawson County courthouse square is actually the back wall of Higganbotham's Lumber yard, but for more than 50 years on Friday and Saturday nights its the social center of the younger set. Oh yes, the "Wall" is right across the street from the juvenile court.